1 What are Grey Whales often called? 2 Where are the whales from April to November? 3 How many months do they stay in Mexico? 1. 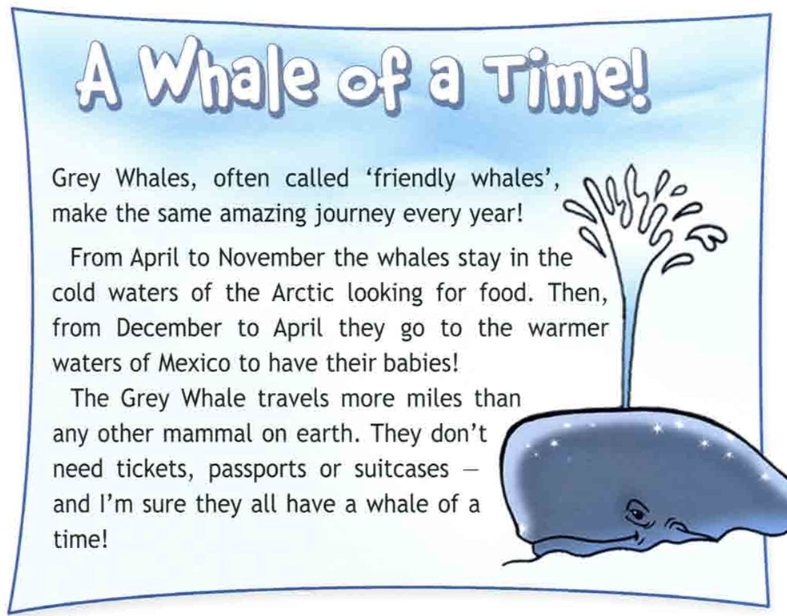 Grey Whales are often called “friendly whales”. cold waters of the Arctic looking for food. Привет! Помогиет заполнить таблицу. Модуль (Module) 3 5b № 5. ГДЗ Английский язык Spotlight 3 класс Быкова. Copy the table and complete it.